The Alumni Association and Office of Alumni Relations are here to keep you connected! We hope you join us at events, read the The Raider, and watch all the amazing things going on at SOU! The Raider Magazine features campus updates, exciting news, and alumni stories. You can also find the latest edition online. Did not received your copy? Please update your info. The Alumni Office is located on the first floor of Plunkett Center on the corner of Mountain Avenue and Siskiyou Boulevard. Feel free to drop by between 8:30 a.m. and 4:30 p.m.
We are proud of all the outstanding SOU alumni teachers around the country. We want to help you show your Raider pride in your classroom. Thanks to the School of Education in partnership with the Alumni Association you can submit the request form below and receive a fun package of Raider swag to display. 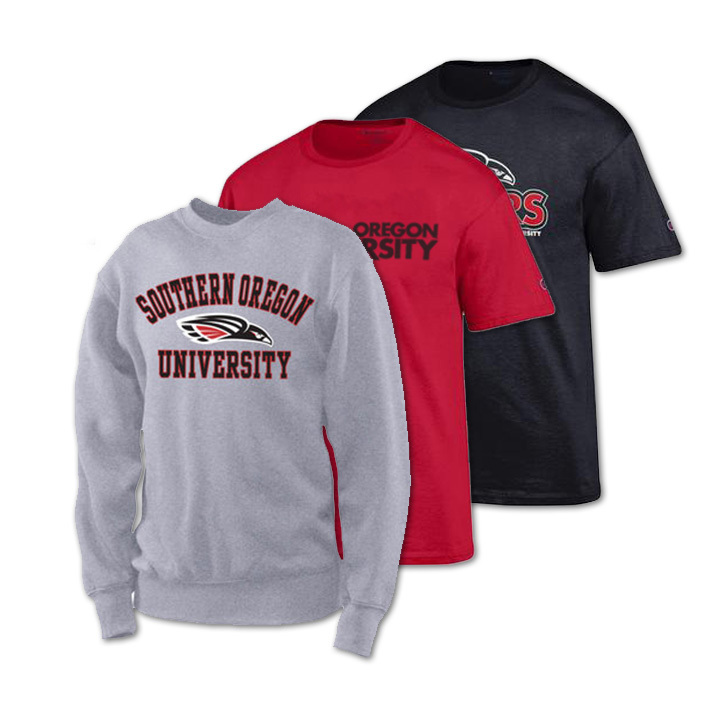 The package will include SOU Raiders t-shirt, pennant and a sticker. All we ask is for you to take a photo of your classroom once you have added the Raider touch and send it to us at beaglem@sou.edu and we’ll post on our Facebook page. Supplies are limited. Make your request today!